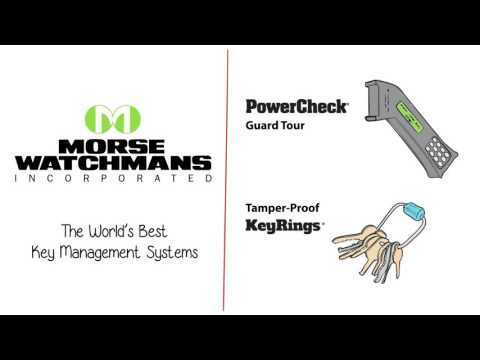 Morse Watchmans key, fleet, and asset management solutions enhance overall safety by securing, controlling, and tracking physical keys and valuable assets. KeyWatcher® secures keys and KeyRings® inside a fully-configurable steel cabinet using a fob with an integrated chip. Access is controlled with PINs, access cards, or biometrics, and all activity is tracked, with audit trails and management reports available on-demand or sent automatically. KeyWatcher Fleet utilizes the field-proven KeyWatcher Touch hardware, powered by all-new robust fleet management software to increase fleet utilization and efficiency. AssetWatcher® is an RFID-powered asset control system that secures and tracks valuable assets, providing audit trails and data including who removed or replaced assets, which locker they are in and when they are due back.